Way back at Gamestars we got a good look at the Gizmondo which was promising us lots of goodies that we’d like in a handheld device. Just to quickly re-cap Gizmondo offers up SMS, MMS, MP3 and MPEG4 playback through Windows Media Player 9, GPS, a camera and Bluetooth. Powered by a Samsung ARM9 400Mhz processor and incorporating the GoForce 3D 4500 NVIDIA graphics accelerator, the Gizmondo has been looking very tasty for a while but has been taking it’s time getting to market. All that has changed however as a firm release date of 19th March has been announced. 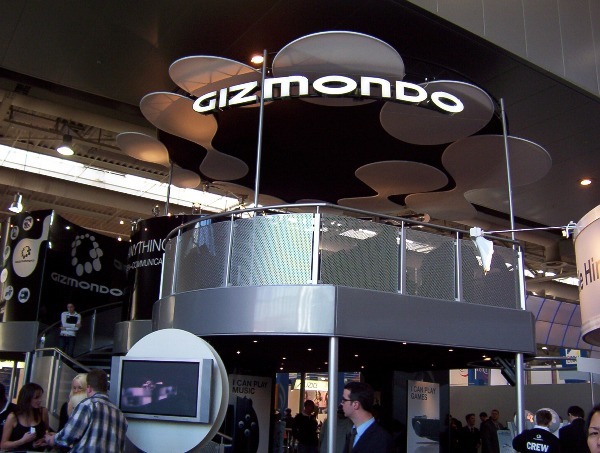 And this one is a definite as Gizmondo are opening a shop in Regents Street to coincide with the unit’s release. 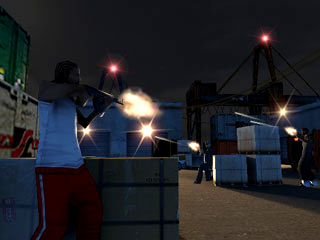 As the device is aimed squarely at the mobile gaming market, game support for the Gizmondo will be key to it’s success. 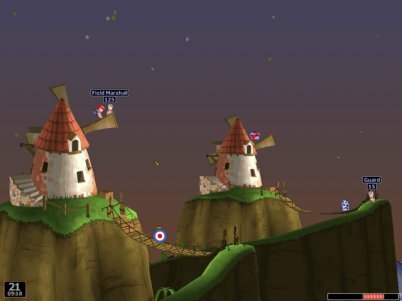 At the time of release Gizmondo are saying that there’ll be roughly fifteen different games across various genres available. Within a month this will increase to 30 or so with up to 100 other titles being available within 6 months. 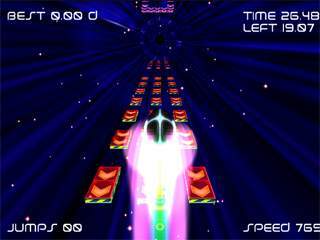 But Colours isn’t just limited to single player or Bluetooth multiplayer action. The game spills over into real life, with your Gizmondo using its’ GPS link, it can sense other players in your area and then you can challenge them to a fight to win real life turf off them. It seems that Gizmondo are making the most of available technology with several features that clearly set if outside of the ‘handheld gaming’ bracket. 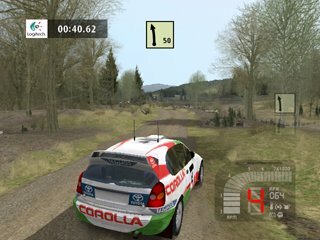 The most important has to be the GPS function, which tracks the unit wherever it is. Throw in the map display and you’ll never be lost again. On top of that, there’s a ‘panic button’ which, when pressed, sends an alert to a phone number of your choice, with your position included so help can come quickly. Another feature is ‘Smart Ads’ and Gizmondo are in talks with several major high street names to supply adverts direct to your Gizmondo. These will be in the form of short TV quality adverts, some featuring special offers etc. 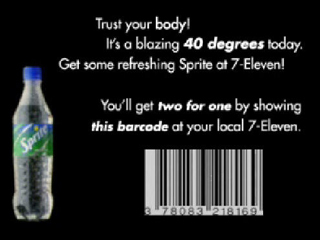 In development is a system showing barcodes at the end of the advert which you scan at the shop to receive the special offer. 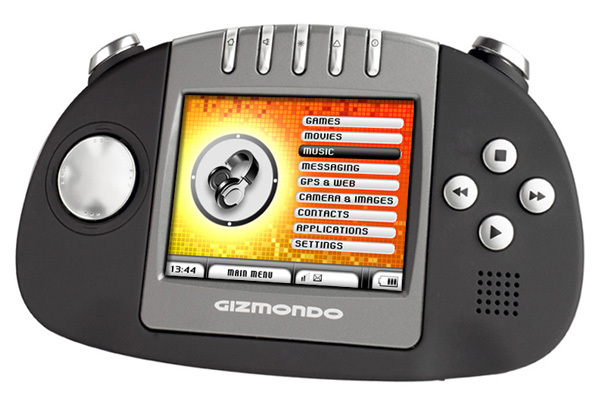 There’s plenty else to talk about with the Gizmondo, which seems to me to be smaller and lighter than the units I saw running at Gamestars in 2004. With Gizmondo expecting to shift a very significant number of units in the first 12 months and with the feature set it has, this is looking quite an attractive proposition. Game support shouldn’t be an issue either with its’ Windows CE.net 4.2 OS and a 12 game deal with SCI. With a UK release just three days away, I’m eagerly waiting for a sample to play with, and navigate with, and take photos, and watch movies, and text mates…..